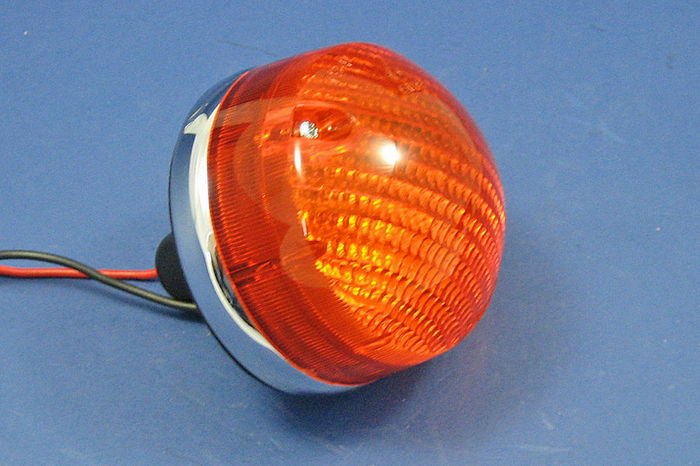 Lucas L794 indicator lamp. Supplied with 500mm leads with bullet terminals, sealing gasket and bulb. Approx 82mm diameter. E Marked.